Dr. Mazelis is an Associate Professor of Sociology in the Department of Sociology, Anthropology and Criminal Justice, an affiliated scholar at Rutgers-Camden’s Center for Urban Research and Education (CURE), and a member of the Scholars Strategy Network; her key findings research brief can be found here and her interview with SSN’s No Jargon podcast can be found here. She serves as the co-leader of the Scholars Strategy Network’s New Jersey chapter. She received her B.A. from Binghamton University of the State University of New York and her M.A. and her Ph.D. in Sociology from the University of Pennsylvania. Dr. Mazelis teaches Introduction to Sociology, Sociological Theory, Social Stratification, and Urban Sociology, and occasional courses on homelessness for the Honors College. She was in the inaugural cohort of Civic Engagement Faculty Fellows and received a Chancellor’s Award for Academic Civic Engagement in 2012. Dr. Mazelis has specialized in the study of urban poverty and social ties, using qualitative interview methods to explore the meaning and understanding people have of their own situations. Her book with NYU Press, Surviving Poverty: Creating Sustainable Ties Among the Poor, is based on her research in Philadelphia. You can listen to her talk about her book in an interview with the New Books Network. She has published on the views of welfare-reliant women (with coauthors Ellen K. Scott, Kathryn Edin, and Andrew S. London), in the volume For Better and For Worse (Russell Sage, 2001). 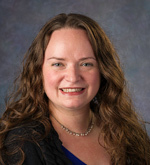 She also co-wrote with the Census Bureau’s Laryssa Mykyta an article that appeared in Journal of Marriage and Family on the role of marital and relationship status in financial support from kin to new parents. The Routledge Handbook of Poverty in the United States (2015), includes three contributions by Mazelis: one on social ties among the poor; one, coauthored with President of Campus Compact Andrew Seligsohn, on the consequences of deindustrialization and neoliberalism in Camden, New Jersey, the poorest city in America; and one, coauthored with Rutgers alumnus Brendan Gaughan, on poverty stigma and Occupy Wall Street rhetoric. She authored an article on reciprocity among the poor (Journal of Poverty), and her work with Adam Okulicz-Kozaryn, Associate Professor of Public Policy at Rutgers-Camden, is published in Urban Studies (and profiled in The Atlantic’s CityLab) and in Social Indicators Research. Dr. Mazelis is currently engaged in a research project, “The Cost of a College Degree: How Students Pay for College, the Unequal Transition to Adulthood, and the Transmission of Inequality,” with collaborator Arielle Kuperberg, Associate Professor at University of North Carolina-Greensboro. This is a mixed methods research project exploring the role of student loan debt in the college experience and future aspirations and expectations of graduating seniors, with a longitudinal component examining their transition out of college. this wallethub.com piece on “2015’s Best and Worst States for Underprivileged Children” as a member of a panel of experts. Page last updated at 4:45 pm September 7, 2018 . This page was printed from mazelis.camden.rutgers.edu/ on Friday, April 26, 2019.